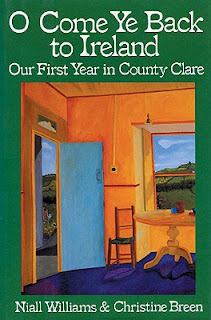 I've only just returned from Ireland, and I re-read this book in anticipation of our trip. It's funny re-reading a book you first read at 16, and it's certainly different looking back now after the trip. 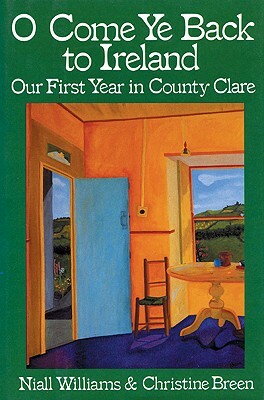 It's the story of a Manhattan couple who, in the 1980's, decided to give up urban life and live on a rural farm on the west coast of Ireland. It is far from the idyllic paradise it sounds. The weather is awful, the farm difficult and material comforts are few and far between. The authors documented a world that is ancient but rapidly fading away, something that is still very much in evidence in Ireland today. Although they describe the kindness of neighbours and the beauty of the land, it's not a life I think I could live. It's basically a chronicle of the hardships that nature keeps throwing at them, relentlessly. They really have to eke out a living on the land, no extra money to fall back on for them. Yet I felt it rang true for what Ireland is really like - many of the scenes and people they describe are familiar. It's an interesting book, one of the best "travel" stories I've read and a true portrait of Ireland.